Salt has always been an important commodity. Prior to canning and refrigeration, to preserve and store food it had to be dried, smoked or salted. Salt was also used in the past for tanning, cloth dying and for glazing pottery. In the UK, salt was originally made from either using sea water or inland brine springs. The archaeological evidence for salt making can be found dating as far back as the Bronze Age, with the earliest evidence being found at South Woodham Ferrers in Essex. Place names can give clues to a past salt industry, for instance Saltfleet in Lincolnshire but also places ending in –wich can denote a connection with the salt industry, such as Droitwich. One of the simplest ways to extract salt was via evaporation from sea water, which was the process used in sunnier locations, such as the Mediterranean. However, in the UK, this was an unreliable method to produce salt! Solar evaporation was sometimes used at the beginning of the process to help increase the concentration of the brine. These sites became known as “sunworks” and involved a series of shallow saltpans, set behind a sea bank, and fed at high tide via sluice gate. Once the sea water had settled, it was tapped off into a second lower pan and then a third, allowing time in each for evaporation to take place. After each stage, the concentration of brine became stronger. In the medieval period a different method of increasing the concentration of brine at the start of the salt-making process was also used on the coast. It was called “sleeching” in Cumbria and Lancashire, and “muldefang” in Lincolnshire. It involved washing salty sand from the beach in a trench or “kinch” with sea water. When the solution was tapped, the sand was thrown away, leaving a brine solution with a high concentration of salt. Once the brine solution was strong enough (following either of the processes described above) it was moved to a tank to be heated. To test if a solution was strong enough, an egg could be used: if the egg floated on top then the brine was strong enough for the next stage. The next process was to remove the salt from the solution, and this was done through boiling. This was usually done in metal or ceramic pots and the crystals were scooped out as they formed. Ceramic lined pits have been found on prehistoric sites and lead lined ones from the Roman sites. There are two remaining coastal salt extractors, one at Anglesey and one in Maldon, and both still use this process. Stratigraphy is all about what happened when! It is the word used to describe the order of layers or deposits found on an archaeological site. It enables archaeologists to work out how different features and finds discovered on a site relate to each other. Layers that are closest to the present-day ground surface will be younger than those buried beneath, with the oldest layers at the bottom. 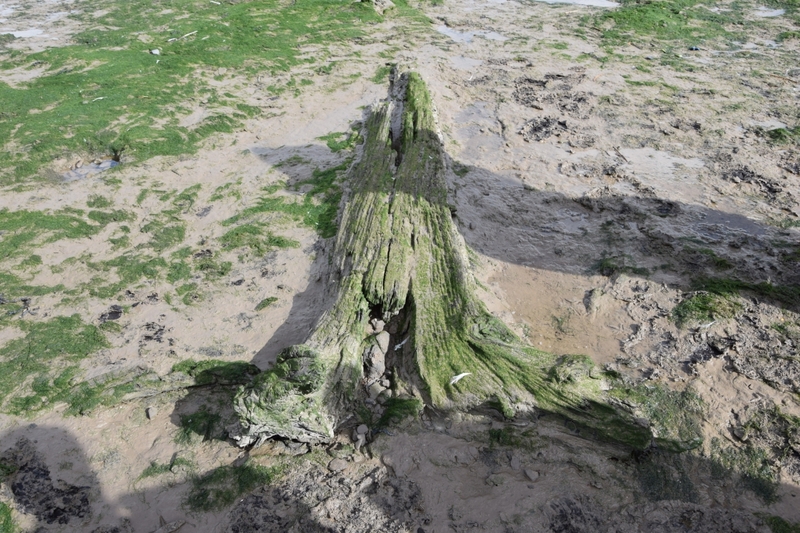 Submerged forests have existed for thousands of years and are dotted all along the UK coastline. They are mostly found in the intertidal zone. They were noticed by Gerald of Wales in the 12th century, whilst recruiting for the Crusades. Gerald attributed these forests to the wrath of God and the Great Flood and were known as “Noah’s Woods”. Samuel Pepys also describes a submerged forest, in his diary entry for the 22nd September 1665, in which he discussed a conversation he had with a shipbuilder, who was building a new dock on the Thames. The first systemic research into submerged forests was done by geologist Clement Reid in 1913. Since then more and more research has been done on these sites. The forests are usually made up of tree stumps and fallen trunks, which are preserved in the anaerobic conditions of the intertidal zone, which enables good preservation of the wood. They can consist of many different species of tree, including: oak, alder, hazel, willow, and birch. To identify what type of trees are present in a submerged forest, samples of the wood must be taken. The samples are viewed under a microscope to examine the cell structure, which enables researchers to determine what type of species the samples are from. Oak is the only species that can be determined by eye. There can be other indications as to what types of tree may have been in a submerged forest; for instance, the remains of acorns or hazels nuts, or distinctive bark such as that from the birch tree. Dates of submerged forests are usually determined by radiocarbon dating. Oak trees can also be dated using dendrochronology (tree ring dating).